Today I’m going to tell you about the most important little company you’ve never heard of. Not 1 in 500 investors know its name. But you likely use its services every day. Huge clients like Major League Baseball and the US government happily pay it many millions of dollars. And my research shows its stock could double in as little as 12 months. Picture Cowboys Stadium in Dallas, Texas. On football gamedays, some 100,000 people cram in to watch the Cowboys play. As you would expect, security is hectic. In the span of a couple of hours, the guards who man the gates must size up 100,000 eager fans as they pour in. They must let in the law-abiding ticket holders… and keep out the drunks, scalpers, violent fans, people carrying weapons or drugs, and other troublemakers. And you’ll begin to understand the cybersecurity nightmare America’s largest online companies deal with all day, every day. Take Adobe (ADBE) for example. I’m sure you’ve used its PDF software. Like all software companies, Adobe used to sell its software on CDs. As regular RiskHedge readers know, “the cloud” changed that. Now you access its software over the internet—no installation required. This has been fantastic for Adobe’s business and its shareholders. Since switching to the cloud in 2012, its stock has surged 740%. But it also opened up a gigantic security risk. Millions of users now access Adobe’s software over the internet every day. Millions of people… coming and going on its networks… every day. That means millions of new potential security holes. And keep in mind, practically everything is on the cloud these days. I’m typing this on Microsoft Word… through the cloud. When you watch Netflix (NFLX)... you’re using the cloud. When you file your taxes later this year through TurboTax… you’ll be using the cloud. Can you even imagine the billions of vulnerable connections out there every minute of every day? A company called Okta (OKTA) has pioneered the solution. Or check your credit score on Experian (EXPGY)? Chances are Okta has kept your data safe. Okta’s unique “Identity Cloud” acts as an invisible blanket that protects users from being hacked. Okta works silently behind the scenes. You won’t know it’s there. But many big American companies like Adobe, MGM Resorts (MGM), and Western Union (WU) rely on Okta to keep users safe. The US government trusts Okta, too. The State Department and Justice Department pay it to safeguard their networks. And if you’ve logged into the US Social Security or Medicare website in the last couple of months, you’ve been protected by Okta. Okta provides US military-grade cybersecurity everywhere, on any device. In a nutshell, Okta verifies that the people accessing a network are who they say they are. And that they have permission to be there. This is different from traditional cybersecurity, which often relies on firewalls. A firewall, as you may know, is a digital barrier meant to keep out unwanted intruders. Firewalls are effective at ringfencing a given online area—like your home network or a university’s network. As long as you stay within the confines of the firewall, it can protect you and your data. But remember, “clouds” consist of millions and millions of connections. It’s hard to wall off a cloud. Okta protects users where traditional firewalls fall short. Sales have exploded 150% in the past two years. Since it went public in 2017, its quarterly year-over-year sales growth has never slipped below 57%. One of Okta’s big moneymakers is helping companies keep employees secure. For example, if an employee works from a coffee shop, or an airport, or from home, Okta’s software ensures the connection is secure. This is a HUGE security risk. According to Verizon, 8 out of 10 data breaches come from hackers getting into the network through employee accounts. Another thing I like to see: Okta’s customers spend more and more money with it every year. For every dollar a customer spent with Okta in 2017, it spent $1.21 in 2018. This puts its dollar “retention rate” at a world-class 121%... crushing even Apple’s (AAPL) 92% retention rate. As I’ve said before: No cost is too high when it comes to protecting your customers’ data. Recently we discussed how Facebook’s (FB) business was essentially ruined by a data breach. Its stock plunged 17% on the day of the news. It marked the biggest single-day wipeout of shareholder value in US stock market history. Even with its stock jumping 11% this morning on strong earnings, it’s still down 24% in the past six months. Back in November, hotel company Marriott (MAR) revealed its network was compromised. Hackers stole personal data for 500 million of its customers. The stock plunged 18% in the following month. Marriott now faces a $155 million fine. You either pay millions now for top-notch cybersecurity… or you skimp and end up paying hundreds of millions, or billions, later to clean up a disaster. Okta’s security services are essential to some of America’s biggest, richest companies. It’s exactly the kind of business I want to invest in. If you’ve been reading RiskHedge you know why autopilot stocks are ideal investments. In short, they collect heaps of recurring cash by selling subscriptions. 94% of Okta’s sales come from selling subscriptions to its services, giving it a constant and predictable stream of cash. 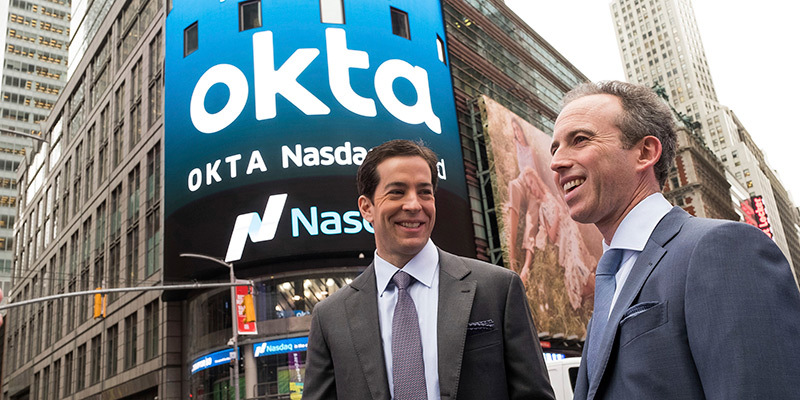 This helped to insulate Okta from the recent market selloff. While most stocks are still down 10%–20%, Okta is scraping up against its highs. Investors take comfort in the steady flow of cash that autopilot stocks like Okta can generate. Okta is on track to rake in around $400 million this year. 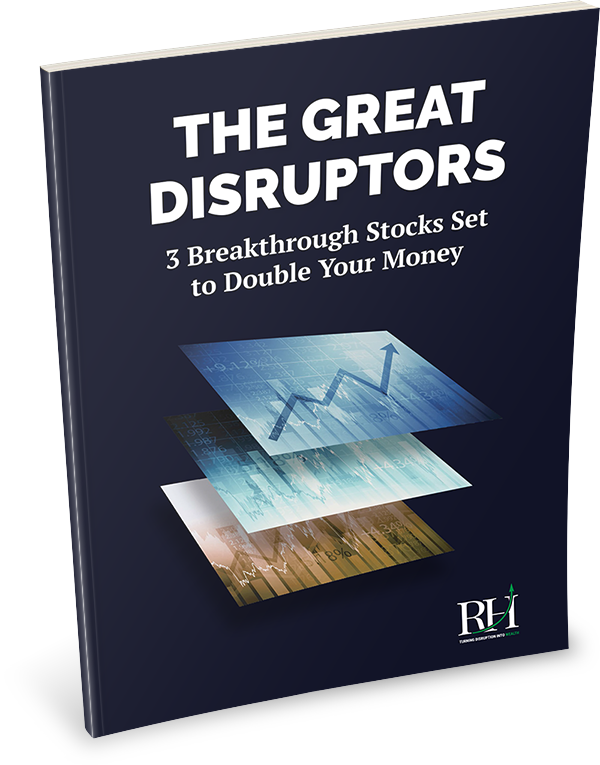 My research suggests it will grow earnings at roughly 35% per year for the next three to five years. If it can achieve this rapid growth in the next 12 months, its stock could easily double. I encourage you to take a small position in Okta today. Note that it has surged about 50% from its December lows. Anytime a small stock shoots up so much so quickly, a pullback could be around the corner. So keep your position size small for now. RiskHedge reader Johnathan has a comment about network tower companies as they relate to 5G. I recently signed up for your letter and find it very interesting. I’m an ex-money manager and used to follow the network tower stocks like American Tower (AMT) and SBA Communications (SBAC). With 5G’s short signal I believe there has to be many more tower locations built. I think this is an interesting way of playing 5G. Johnathan, thanks for your comment. I agree with you. During the rollout of 4G, these tower companies handed investors up to 10 times their money. For example, between 2008 and 2015, SBA Communications (SBAC) shot up roughly 1,000%. Given 5G’s fragile signal, hundreds of thousands of new cell towers will need to be built across America. So the tower companies you mentioned should do great business in the coming years. A company that’s already raking in millions from 5G is chipmaker Xilinx (XLNX). I recommended the stock in early December, and it’s shot up about 25% since.